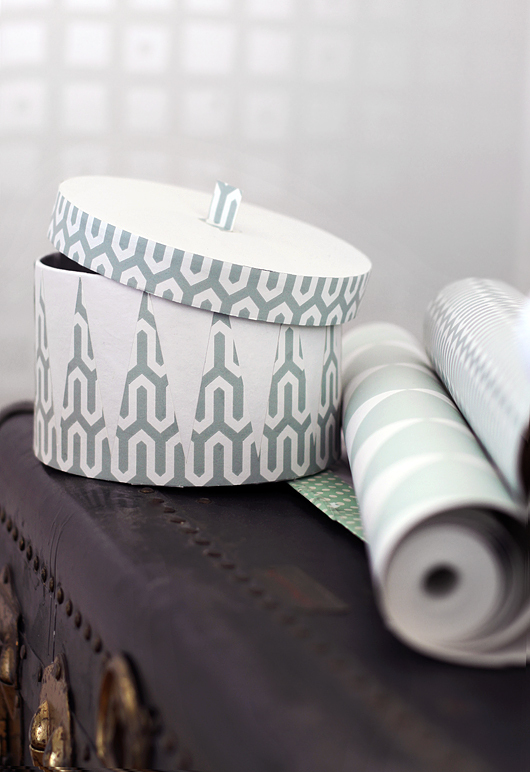 If you are up for some crafting this wallpaper project made by Littlemissfixits might inspire? She took up the challenge to do something nice of a press sample sent out with a wallpaper launch, and used it to make a boring paper box a little more fun. Here is the result. Voilá! A neat and quite simple way to spruce up some storage boxes for the hall way or bedroom in your home.